A growing number of you have been asking for clarification about what’s happening with Jeff [Vanderstelt] and Soma in relation to the Mars Hill Church in Bellevue. I thought I would clarify here quick, so that you get the right information, rather than some misinformation flying around social media. One can only wonder what "social media" and what "misinformation" has been flying around. In the last year it's seemed at times as though more misinformation has come out of Mars Hill than has been circling about outside it about Mars Hill. But perhaps some kind of official confirmation may yet spring forth that Vanderstelt's definitely joining the Bellevue team. We'll just have to wait and see. MH Pastor Scott Harris ... executive director of ministries - Global? formerly or currently? Oversaw and led ministries across all 15 Mars Hill Churches in 5 states. This included Community Groups, Redemption Groups and Biblical Living, Worship, Students, Kids, Women's Ministry, Mars Hill Network of Churches and Leadership Development. My role was to work with the ministry directors in leading each of these ministries to provide leadership and direction as we make disciples and plant churches. • Formulated standards for existing and new Mars Hill locations and implemented best practices of core services. • Propelled growth through key initiatives in seven different ministries including 200+% increase in Next Gen.
• Collaborated with Executive Leadership to envision future strategy and direction. a follow up question on the Vanderstelt announcement, has Vanderstelt even publicly indicated he's even accepting the job? Nicholas was not out of the picture in the leadership of Acts 29. How and why Nicholas ended up out of the organization he co-founded has been one of the mysteries of its history. If Vanderstelt's selection and activity is going to represent a true change of direction then what Vanderstelt may know, if anything, about David Nicholas' disappearance from the Acts 29 Network might be worth sharing as a token of good faith. Just an idea for consideration. Anyone who may actually have record of David Nicholas' correspondence to Acts 29 about Mark Driscoll might want to consider making it available to the public for consideration. [interviewer] I don't know if you remember when you did the assessment for me at the boot camp a million years ago [Driscoll says, "no"]. You pulled my wife and I into a room. And this is, like, you chewed me out the first time we met and you were the nice Catholic boy around my wife, which was really cute, it was a nice move. [Driscoll laughs] Suddenly she thinks, "He's a nice guy. Why are you saying he's mean?" and, and, you asked my wife, "Who is your husband's pastor?" and she started trying to name the guys of a three-thousand person church that was sending us out, and your answer was, "No, you're his pastor." Can you talk a little about the dynamic of a family, behind the scenes, planting a church together? What does it look like to have a wife who is submitting to you but brave enough to speak into your life? What is it like to have kids who are planting maybe in an area that is not an area you would want to raise kids in? There’s a lot of – men are still the head. That’s my point. They’re still in charge, and they still dominate. And you say, “Well, I don’t dominate. I just left.” Well, you still dominate in your absence. If you don’t raise your kids, you’re dominating their lives. If you don’t love her wife, you’re dominating her life. If you’re a delinquent who is just sort of ruining everything around you, you are dominating, and you are influencing everyone because you’re a head. Why Driscoll would have shifted by 2007 to the idea that the wife is the pastor's pastor when he'd been so firm about headship all the way is hard to explain. The only way having the woman who is supposed to submit to and trust the husband could be the pastor to/over the husband in some authority fashion that would make sense if a person were to take all of Driscoll's ideas equally seriously would be to postulate that the wife can never really be the pastor over her husband and that by invoking the necessity of "respect" a man could have the wife be a pro forma "pastor" to him and he'd never have to actually have any men mentoring or pastoring him. But that's just one possible interpretive angle ... . IF there's anything we've learned about Mars Hill this year from their Jesus Festival it's that just because they make a big public announcement and repeat it a few times doesn't mean it's actually happened or going to happen for sure. When Mars Hill leaders announce resignations those have turned out to be sort of accurate ... but when Mars Hill announces positively that they're doing something .... we can't be so sure. Let's wait until Vanderstelt himself to confirm that he's even taking the job before we get too confident about things that have been announced by Mars Hill or its would-be spin-offs. After all, Mars Hill Bellevue has a particularly dubious track record thanks to stuff about that International Paper Building, right? Alastair Roberts on "rescuing Christian mascculinity" and a crisis of masculinity in the modern West, what if the crisis he's looking for is the "disposability" of the male? Behind all of these things, it seems to me, there lies a deep crisis in contemporary masculinity, which in turn is a symptom of a crisis of contemporary society. Unfortunately, few people have put their finger upon this. The crisis of masculinity is in many respects prompted by economic and political factors, resulting from the combination of several developments: the movement from a production to a service-based economy, the rise of a unisex workforce and society, the triumph of the model of gender neutral companionate marriage between individuals, the movement from labour to consumers, the rise of the ‘pink police state’ (with its aversion to risk and responsibility), the valuation of ‘empowerment’ over the responsible exercise and development of our own power (moving us from a population that responsibly exercises power in self-governance and over against other agencies to one that relates to state and business more as children might do to their parent), the ascent of a therapeutic understanding of human nature, the resistance to and diminishing of the figure and authority of the father, the shrinking of the size and realm of the family, etc. Well ... okay ... but when Roberts says "few" let's trust he is aware that a few have put their finger on this crisis or something like it. Roy Baumeister addressed it indirectly by pointing out that one of the essential ways that males contribute to cultures is by way of their disposability. He put it rather bluntly by saying if half the penises in a generation were lost there would be enough wombs to produce a future generation whereas the same could never be said of the inverse loss. What Roberts describes seems contingent on two proposals. The first is to take the essential disposability of males as given and the second is to propose that that the out-sourcing of production in post-industrial Western economies has made what the still-disposable males could be doing something that can be done by others. The rise of a unisex workforce in itself may well be overstated and less critical to the outsourcing of production. The flip side of risk is that you don't just win big, you lose big. Christian attempts to recover some kind of masculinity in the West have tended to hinge on risk-taking and contribution as disembodied ideals. There has been less engagement with the possibility that male disposability is quite possibly the underlying "crisis" of masculinity in the West. As for alternatives, a healthier kind of clean, manly Christian practice ... this is a virtually ageless concern in each generation. A century ago one Chaplain Evers was concerned to promote a clean and masculine evangelical faith and he did so, rather literally as well as figuratively, at the trenches of combat in World War I. Understanding the appeal of Mark Driscoll might be something we could boil down to the sales pitch he gave to men. The sales pitch was, to put it in distilled terms that would be worthy of Driscoll, legacy. Join this movement and we'll change the city for Jesus across generations and walks of life. As it became more and more clear over the last fifteen years that Mark's vision of fixed up masculinity could be described as markulinity, a vision of manhood in which Mark Driscoll kept making himself both the measure and the goal of proper manhood, even people in the "manosphere" began to dismantle Driscoll as yet another guy extolling a vision of manhood that only had room for the alpha male rather than the beta male. For at least one possible example, see Dalrock. Long ago, back in the William Wallace II days, Driscoll made a point of yelling at guys. Per "the men and two stones" part of God's Work, Our Witness, Mark yelled at the guys to shape up and fly right and it ... worked. There were maybe 100 to 120 guys at that time. Probably the average age was maybe early twenties, twenty years old. You’re talking college guys. But a lot of those guys, to this very day, they did it, man. They’re running companies. They’re deacons, elders. They’re starting churches. They’ve gotten married. They’re having kids. Their lives are changed and they are still, you know, hands up, chin down, feet forward, getting it done. And it’s just really cool what God did in this place. The reason it's not possible to believe that Driscoll "repented" or was really sorry that he did the yelling thing is that 11 years after he did it he was crediting God as having done a cool thing that, if you were there, was pretty clearly Mark Driscoll's idea and initiative. There was real estate to be bought, after all. Paradoxically Driscoll had to sell men on the idea that they were NOT disposable. Driscoll has said over the years that if you get the young men you get everything, you win the culture? Why? Because basically they have the power to become the establishment of tomorrow. Promise them a legacy and they will probably deliver, or at least try, and then you can figure out what stuff to keep and what stuff to distance. There were a whole lot of guys in the leadership culture of Mars Hill over the years who didn't object to much of anything within Mars Hill, why? Well, let's propose that they never imagined that they, as individuals, were disposable, so they didn't object to the general tenor of things on the ground. When you feel and think you belong then you're less apt to feel and think that what you belong to may have problems in it. Phillip Zimbardo has suggested that the emergence of cults may tell us something about what our society at large fails to provide and the cult of Mars Hill (if it can be described that way) might be a potent case study of how a group gains momentum and identity by proposing itself as a remedy to a specific social problem. In the case of Mars Hill and Mark Driscoll the proposed problem was a crisis in masculinity but the proposed solution was ... the community and social dynamics of Mars Hill. This may have worked a little better earlier when the community was far more decentralized in terms of who was able to make what decisions, and that may be why people who had no problems with most of the general theology and ideals of Mars Hill or even Mark Driscoll felt the terrible shift from the halcyon days of a plurality of elders was 2007. But the problem with that explanation would be that personality cults were clearly in play years before 2007 happened. Anyone who was single at Mars Hill from 2002-2007 may recall the idiotic courtship fad, which probably only had the traction it had because a majority of unmarried males hoped against all odds they could marry one of the daughters of a popular proponent of courtship. There was a great deal of heat and little light in discussing courtship and whether the couples held up as the poster couples for the fad even had very ideal courtships was probably moot. But the self-enforcing expectations and presentation was so secure that elders would say that even though it was not necessarily defended by either the biblical texts themselves or history, the elders all agreed courtship was a good way to go so that was the deal. Wenatchee The Hatchet is going to remorselessly suggest that such idiotic lockstep conformity on an issue that didn't matter to church governance for half a decade was like incubating a pattern in which when the elders had a chance to make decisions about things that did matter in governance the lockstep expectation of conformity that would meet dissent and difference with combat or dismissal was already going to be in play. For those who would wish to explain the history of Mars Hill and Mark Driscoll in terms of a cult and a system of control then it needed the 2002-2007 courtship fad as the beta-testing stage for getting everyone at all levels to buy into the program regardless of objections and then, with that safely settled as a kind of case study, the real moves could be possible. But that would ascribe a level of shrewdness and competence that seems too generous for anyone in leadership at Mars Hill in light of the 2005 boondoggle purchase of the corporate headquarters. Still, if one were going to hammer the 2007 by-laws as a signal event one should consider that that moment did not emerge in a vacuum; the expectation that all the elders be completely in agreement had to develop in some fashion and that cultural expectation was going to moot whatever plurality of elders may have existed even if the 2007 by-laws had been rejected, at least in the long run. So, getting this back to a crisis of masculinity, a bit. There are times when the "crisis of masculinity" seems less about masculinity than the economics of the nuclear family. Wenatchee the Hatchet considers the nuclear family to be a historically and globally aberrant form of family life and one that Christians in the United States should not necessarily endorse as either "biblical" or necessary. It's not that a nuclear family is necessarily a bad thing but that many of Driscoll's failures could be described as a failure to provide anything other than a Law with no Gospel. Driscoll's lectures on manhood tend to founder whenever real world details become necessary. It's easy to tell guys they need to go get real jobs and not "joe jobs" (but didn't Driscoll's own father, Joe, swing a hammer for a living for years as a union drywaller?). 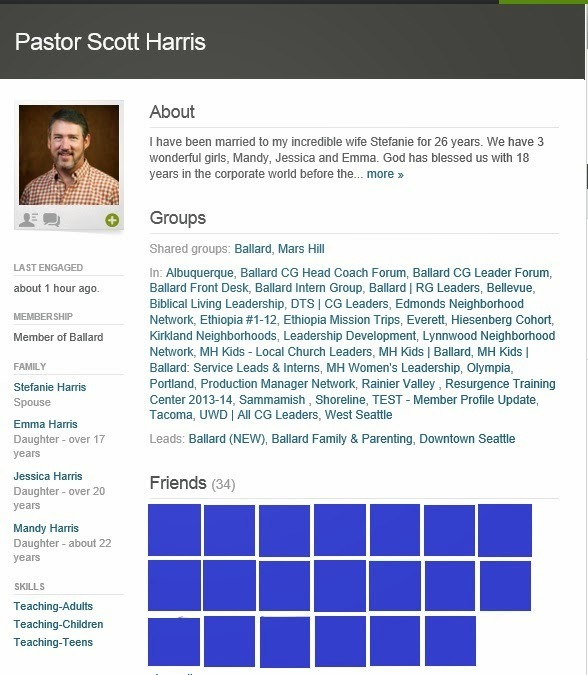 Mark Driscoll's career has been one that ribbonfarm might describe as one of "conspicuous production", yet the last year's worth of scandal associated with Mark Driscoll has shown us that that conspicuous production may have been the result less of Mark Driscoll's actual intellect and labor and more a result of ... well ... Result Source Inc played a part, but so did help from the Docent Group a few years ago and probably a team of assistants and even maybe ghostwriters. Mark Driscoll had become a brand and with that brand much of the content credited to his name may have been work-for-hire that was actually done by others. The production was so conspicuous under Driscoll's name that it could be seen as too much and too good to be true ... which it seems, in the end, it was. And one of the key problems of a masculinity reform initiative is that the person making the bid has to be able to live it out, literally or figuratively in the trenches. Thus the old comparison earlier this year between Mark Driscoll and Chaplain Evers. Driscoll may well have advised guys to get "real jobs" but the emphasis was on the prestige and financial compensation of the job, whatever it was, as a springboard for getting that wife, making those babies, and moving "upstream" to change culture. But if Driscoll's career can be described as conspicuous production perhaps his career can also be characterized by succumbing to what someone at ribbonfarm called the artisanal fallacy. If the uniqueness in the product mainly makes the producer feel more special and unique, without leading to profitable differentiation, it’s the optional kind, like latte art. Driscoll sure felt like Real Marriage was a great big important book that could help people but why should someone have bought that book when The Christian Directory by Richard Baxter could be downloaded for free at archive.org? It's not a matter of whether someone benefited from reading a Mark Driscoll book, it's a matter of why Mark Driscoll got the idea that there was any reason for him to write the book to begin with. If Driscoll felt better for having produced the book then, to borrow ribbonfarm's idiom, writing the book was optional, like latte art. So now here we are, a year later, and all those times Mark Driscoll talked on twitter or instagram or Facebook about his job and put "job" out there in those scare quotes ... well ... it's like there were reasons for that. What if the way to truly address a potential crisis in masculinity is not to tell men to not accept the dead-end joe jobs but to find a way to instruct them about how to adapt to the reality of dead-end joe jobs? Maybe we could rephrase this not as a "redeeming ambition" platform but "godliness with contentment is great gain" platform. As a former pastor from Mars Hill once explained a thing to me, there was this tendency at Mars Hill to define any potential singles' ministry ONLY in terms of marrying everyone off so there would no longer be a need for a singles' ministry, but that would be bad, because that one-size-fits-all approach couldn't be sustainable. Yep. If there's a crisis amongst males and it is connected to disposability then, at least in Baumeister's working understanding of men and masculinity that disposability is a feature and not a bug. Something from the start of the November 23, 2014 letter warrants comment. We have all been in prayer together for some time now concerning the eastside church we believe Jesus wants to build through us, and also specifically for God to bring forward the lead teaching pastor that he desires for that church. In the history of Mars Hill Bellevue it's a bad start to invoke what you believe Jesus wants built or done since the Thomas Hurst letter explaining how the "we" of Mars Hill leadership was persuaded that God wanted Mars Hill Bellevue to have the International Paper Building. As we walk down the path God has laid out for us, we want to share with you a bit of a paradigm shift: Bellevue is now in “core group” phase. So where Bellevue goes, you have to remember its leadership team has a history of saying this kind of stuff and having it not ... quite ... pan ... out as planned. Vanderstelt, according to a Chris Blackstone ( who may be the same with a LinkedIn profile indicating studying Re:Train from 2009 to 2010), was co-teacher of a "missional practicum"
Perhaps Vanderstelt can explain how and why the Resurgence Training Center withered on the vine after a big press roll-out in 2009? The announcement of Vanderstelt's selection seems to downplay connections to the founder of Mars Hill, perhaps for reasons too obvious to bother stating. Vanderstelt's connections to Acts 29 affiliated people thus seems to go back as far as the founding of Doxa in 2002. Jeff Vanderstelt is Second Vice President of the Acts 29 Network. In 2003, he came to the Seattle area to help Bill Clem plant churches between Seattle and Tacoma. To plant Soma Communities, he went through the Acts 29 Network assessment process and became a member.